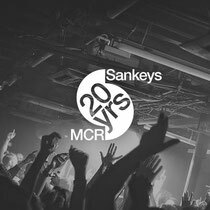 Sankeys enters the autumn season with a packed month of shows, featuring an across-the-board range of talent across the electronic music spectrum. Fridays continue with Tribal Sessions, the party back each and every weekend, with Saturdays featuring a more diverse template, including everything from Halloween action, Music Is Love, Drop The Mustard parties and much more. The opening weekend is a Halloween double whammy special, featuring Dance Mania on Friday 31October; DJ and producer Paul Johnson brings the hands-in-the-air chi-town house down, along with Parris Mitchell, Darius Syrossian, Oli Furness and Angus Jefford all in support. Then on Saturday 1 November, Paul Taylor’s Retro night rolls into town, featuring and all-star cast of friends and family for a night of pure house music classics. Tribal Sessions drops in for its first installment of the month on Friday 7th, featuring resident Darius Syrossian. German DJ and producer Daniel Stefanik joins him, along with Jack Wickham, Daniel Sanders and Kieran Sharples. 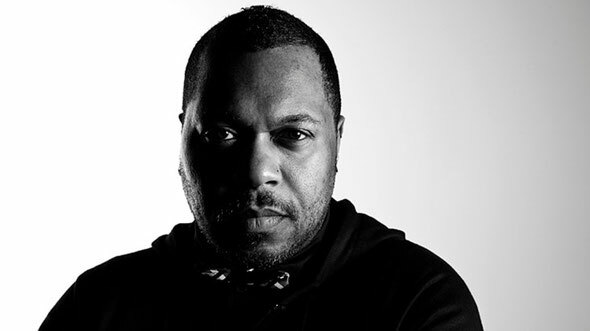 The Music Is Love crew are back with guest Derrick Carter. The Music Is Love guests are Djebali, Oli Furness, Wbeeza, MR KS, Liam Geddes and Angus Jefford. On Friday 14th, Tribal Sessions packs the Basement with some seriously bass-heavy talent. Boddika steps up for this one, fusing his take on contemporary garage, house and bass sounds, filtered through tough electronic breaks and beats; Berghain resident and fellow luminary Marcel Fengler joins him, whilst Clockwork supports. Darius takes a rare foray into Spektrum for this show, spinning all night long with fellow Tribal resident Jozef K. Saturday 15th features the pairing of Jaguar Skills and Beardyman. Friday 21st November’s Tribal Sessions sees Darius Syrossian, Josh Butler and Jozef K in the Basement, with Soundstream, Perry Louis and Matt Ward up in Spektrum. The Drop The Mustard boys are back at Sankeys on Saturday 22nd, featuring a 4-hour set from Dutch house duo Detroit Swindle, along with Frits Wentink and Sam Graham in the Basement; XXXY plays an extended set in Spektrum, with Oli Hackett and Ed Norris supporting. On the final weekend, Tribal Sessions sees Darius Syrossian, Sidney Charles and Hector Couto all going back to back to back for six hours, taking control of the Basement all night long. Spektrum hosts Sante and the Mvson Collective. Then finally Saturday 29th is the return of Covert, which introduces headliner Stefano Noferini to Sankeys, supported by Leftwing and Kody. Cristoph and Just Jorge support them in the Basement, whilst upstairs in Spektrum the night is soundtracked by Mat.Joe, Kydus, Mike Lavercombe and Lewis Smith.